Dr. Michele Schlagheck performs comprehensive eye exam for children and adults. She has a special interest in contact lens fitting, including patients who have been told that they were “difficult to fit”. Professional, compassionate, very knowledgeable & expert in her field. I always feel better when I leave her. Excellent with our daughter with disabilities! She answered my questions I had . I have suffered from dry eyes and light sensitivity for many years Dr. Schlagheck gave me hope for a possible solution by prescribing water contact lens. Professional and friendly. Explains well. I have been going to Dr. Schlagheck for years. She's a great person that I trust making sure my eyes are healthy. She is not only nice but competent in her field. I really like her. Dr. Michele Schlagheck performs comprehensive eye exam for children and adults. She has a special interest in contact lens fitting, including patients who have been told that they were “difficult to fit”. 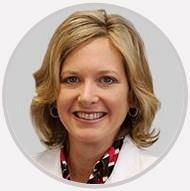 She has extensive experience and success with fitting bifocal, toric, keratoconic, and corneal transplant patients. She is a graduate of The Ohio State University College of Optometry and completed residency at the Chillicothe Veterans Administration Medical Center. Dr. Schlagheck practices in our Toledo office.